Our school has got internet connection courtesy of CradlePoint company and the Safaricom company in Kenya. CradlePoint donated a very powerful machine whose coverage is about 1KM on a flat land. 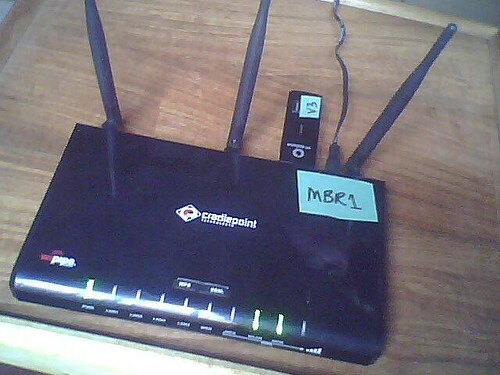 Above is the CradlePoint category MBR1000. Cradle point has also provided us with other machines which include the 8 routers (both PHSs CTRs and MBRs) CradlePoints which we use to connect 18 OLPCs. We use Safaricom modems and sim card. Safaricom is our data provider. 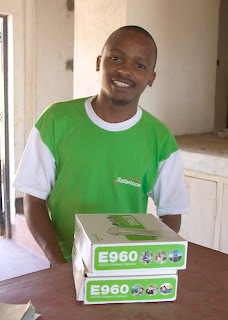 Erick from Safaricom helped with the interface between Safaricom and CradlePoint. CradlePoint has kindly supported the purchase of our safaricom data for a whole year.